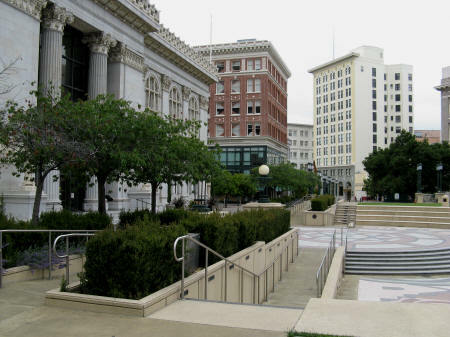 The Frank Ogawa Plaza is the picturesque public square located directly in front of the Oakland City Hall. The square is often used as a venue for civic events and celebrations. Visitors to the square should keep an eye open for what might be the most elegant lamp post in the state of California.